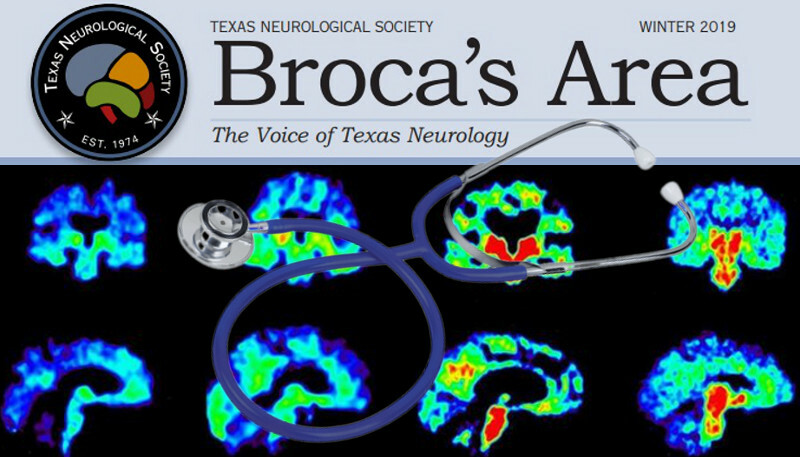 The following article is reprinted by permission of the author, Dr. Randolph W. Evans from the Winter 2019 newsletter of the Texas Neurological Society. The NFL settlement with former players (20,517 registered) who accused he League of failing to warn and protect players against long-term neurological risk of repetitive head trauma became effective on January 7, 2017. The benefits include “monetary awards for diagnoses of Death with CTE before April 22, 2015 (the Final Approval Date), ALS, Parkinson’s Disease, Alzheimer’s Disease, Level 2 Neurocognitive Impairment (i.e., moderate Dementia) and Level 1.5 Neurocognitive Impairment (i.e., early Dementia) (see Injury Definitions). All valid claims under the Settlement, without limitation, will be paid in full throughout the 65-year life of the Settlement.” (NFL Concussion Settlement. In RE: National Football League Players’ Concussion Litigation. No. 2:12-md-02323 (E.D. Pa). Fifteen neurologists in Texas are qualified to perform Monetary Award Fund (MAF) examinations. There has been controversy over application of the criteria for cognitive impairment (Hurley D. For Your Patients Concussion: Why Some Neurologists Are Calling ‘Foul’ Over Criteria for NFL Concussion Settlement. Neurology Today. 18(19):1,38-39, October 4, 2018; Letters to the Editor: Criteria for NFL Concussion Assessment. Neurology Today. 18(22):6, November 15, 2018). there are no other documents available to corroborate. The diagnostic criteria, testing and documentation must be generally consistent. The neurologist is to use “his or her best judgment” in assigning CDR scores and sound medical judgement and best practices in assigning impairment ratings. This process is much different from the one we use to determine cognitive impairment in clinical practice where we obtain a history from the patient and sometimes family members and friends, perform a neurological exam including the MMSE or MoCA, and obtain testing which may include blood tests, a scan of the brain, and neuropsychological testing. Blood tests, a scan of the brain, and polysomnograpy to exclude other causes of cognitive impairment are not done as part of the retired player’s evaluation. The settlement only used the last 3 parts of the CDR (not the first 3 parts). Although the CDR has been validated for use in Alzheimer’s disease (Rikkert MG, Tona KD, Janssen L, Burns A, Lobo A, Robert P, Sartorius N, Stoppe G, Waldemar G. Validity, reliability, and feasibility of clinical staging scales in dementia: a systematic review. Am J Alzheimers Dis Other Demen. 2011;26(5):357-65), the use of the last 3 parts of the CDR have not been validated in this population of retired players. There is significant potential for under and overreporting of functional impairment with the required use of the CDR and a clinical affidavit. The program has audited 57% of claims. The appeals claim that persons with level 2 do not drive and do not or cannot work. However, this is not accurate since about 1/3 of people with Alzheimer’s disease drive and some people with mild Azheimer’s disease still work. MMSE scores above 24 have been alleged to be inconsistent with cognitive impairment which is clearly inaccurate as the test may be influenced by age and education and is not sensitive for mild dementia. In a study of 304 consecutive referrals to a university based outpatient memory clinic, there were 70 subjects with MMSE scores of 30/30 or 29/30. 43% were found to have moderate to severe memory impairment (Lacy M, Kaemmerer T, Czipri S. Standardized Mini-Mental State Examination Scores and Verbal Memory Performance at a Memory Center Implications for Cognitive Screening. Am J Alzheimer’s Disease & Other Dementias 2015;30:145-152). BrownGreer, the MAF settlement administrator, states, “You should bill the Player or his insurance for the services performed as you would for any other patient.” (NFL concussion settlement program: qualified MAF physician manual. As of 3/1/18). However, billing the claimant’s insurance is highly problematic. Insurance may not cover the medico-legal encounter. Even if covered, the time involved in learning about the rules for the determination, the encounter (which may include reviewing extensive prior medical records, obtaining and scoring the Clinical Dementia Rating and third party affidavit, and current neuropsychological testing), determination of a compensable diagnosis, if any, and submission of materials is much more than insurance compensation would cover. examination and there is no physician-patient relationship. Traumatic brain injury in sports is a major public health issue in the United States as there are up to 3.8 million sports related mild traumatic brain injuries per year. The long term consequences are poorly understand. [sic] There is growing concern over the risk of chronic traumatic encephalopathy (CTE) in contact sports which has been reported in football players as young as 17. There are approximately 3 million children ages 6-18 years playing football (including 1 million high school players), 70,000 collegiate players, and 1,696 in the NFL. There are 20, 504 retired football players who have registered for the NFL Concussion Settlement. The NFL has announced that they will pay for concussion research. We strongly encourage the NFL, with permission from the retired players, to pay for an independent retrospective study to be performed by independent neurology experts to assess how many have cognitive impairment, Parkinson’s disease, amyotrophic lateral sclerosis, and other neurological disorders and what the risk factors may be.